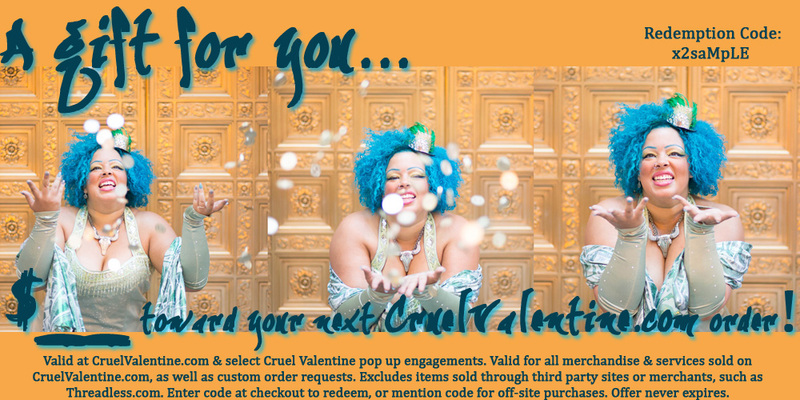 Gift Certificates are valid at CruelValentine.com & select Cruel Valentine pop up engagements. 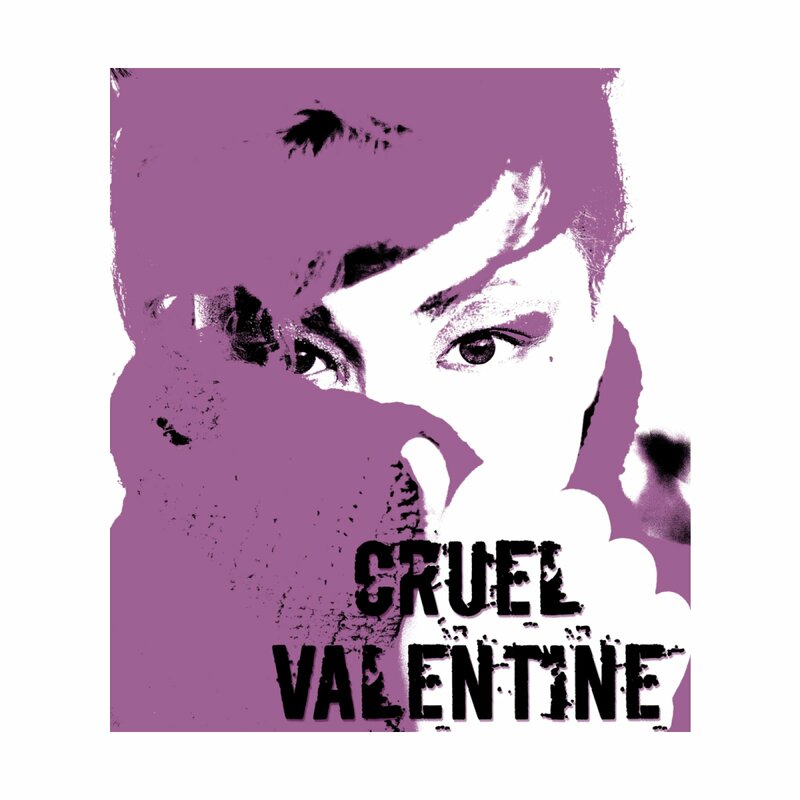 Valid for all merchandise & services sold on CruelValentine.com, as well as custom order requests. Excludes items sold through third party sites or merchants, such as Threadless.com. Enter code at checkout to redeem, or mention code for off-site purchases. Offer never expires. Upon purchase, you can expect an email within 48 hours or so containing a jpeg image of your gift certificate that features a unique redemption code. You can print or forward this gift certificate as you please, but keep in mind that each gift code can only be used once.